The first Record with the fastest time, new record-SCOTT Triathlete Sebastian Kienle won the European Championship in Frankfurt. 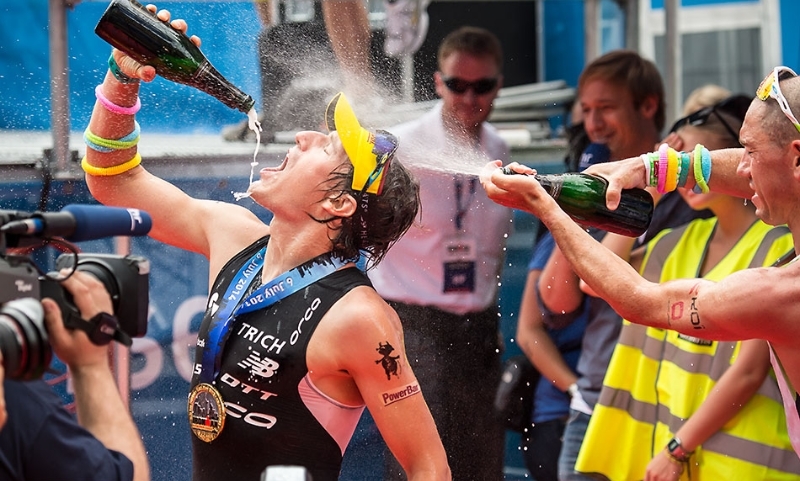 Sebastian Kienle, to celebrate the best of their 30th birthday, won the European Championships in Frankfurt; being granted his first major title in the long distance in a record time of travelling on 7:55:14. An important result for the rankingfor Kona; the European title has attracted athletes from around the world in Frankfurt including current world champion Luc Van Lierde, Olympic champion Jan Frodeno, the former European champion Andreas Raelert and many others. Despite his win at the Challenge Kraichgau a few weeks ago, Sebastian Kienle knew that a perfect race for him to beat the illustrious opponents. Were the talented swimmers that worried Kienle before the race. "After the first lap swimming, had a deficit of 3 minutes from the leader. I was quite shocked and I was expecting at least 6 minutes after the swim, "said Kienle after the race. However, he managed to keep the gap between him and the fastest swimmers to 3 min 30 sec after swimming 3.8 k in the Langener Waldsee. On his new bike the German went immediately to chase athletes in front of him. Once at the top of the stroke, Kienle waited a steep hill to attack and from there gained time on competitors continually. With a split of 4:12:14 Kienle broke the existing record of 8 minutes. Van Lierdes's bicycle was the second fastest of the day, but always behind Kienle. "The new bike is just damn fast," Kienle concluded after the race. "I can't say more now, but in 10 days will reveal to the press and fans the reasons why this bike is the fastest!" During the closing Marathon, Kienle took off fastest runners. Thanks to a fast run 02:49:35 Kienle has managed to win the race in less than 8 hours to beat the existing record. "I had seen running only part-time, and at the end of the race I was really proud of my performance at the closing of 42 km," said post-race Kienle. "I knew I had a chance to ride so fast thanks to the bike, but I've never been able to demonstrate in reality", summed up a visibly happy Kienle.